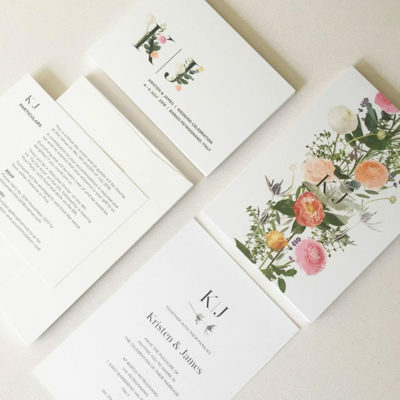 “It was a pleasure working with Maggie designing our wedding invitations. The final look is beautiful and so unique; my guests will be very impressed! I would definitely recommend Maggie to anybody who is looking for an original style & design”. 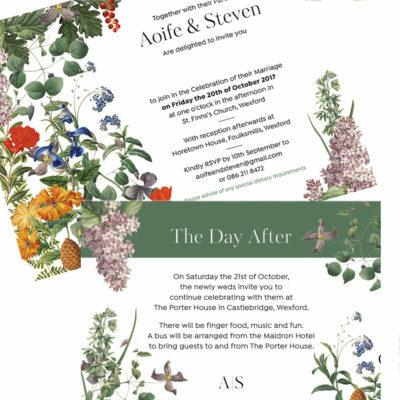 Maggie is a wonderfully talented artist who has ensured the design and selection of our invites has been a lovely and hassle free experience. We love her natural approach to design and her willingness to help with any slight changes we wanted to make throughout the design process. Our wedding stationary is absolutely beautiful and all of the compliments they have received from our family and friends are a testimony to that. We would highly recommend Maggie to all future Brides and Grooms. I’m a graphic designer, but I didn’t feel quite comfortable doing my own wedding invitations. I have pretty high standards but was unclear about what I wanted. When I came across Maggie Marley designs I hoped I had found what I was looking for, and I did. She got back to all my emails straight away and was really clear in what information I needed to provide and how the invitations would look. She sent me samples so I could get an idea of paper and print quality. She made the numerous changes I requested straight away and was very polite in all exchanges. Most importantly though, the invitations are perfect. As well as being very reasonable. I have received so many compliments on them and they sit pride of place on the kitchen fridge. I wouldn’t hesitate in recommending Maggie Marley to any of my friends. 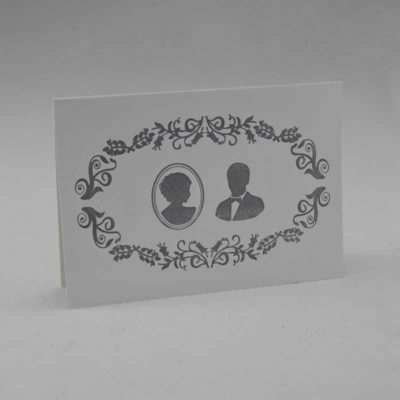 We have sent out our invitations and received lots of compliments on them. I will definitely be referring on all engaged friends to you!! Cashel House Hotel Cashel, Connemara, Co.Galway, Ireland. Maggie was absolutely amazing to work with. She really spent time understanding what we liked and came up with designs that were just perfect. 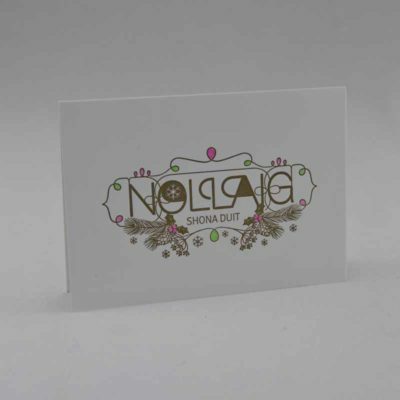 People are still commenting on how nice the stationery was over a year later. I can’t recommend Maggie highly enough!. 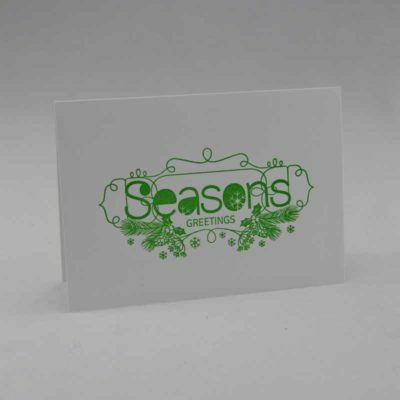 Maggie, thank you so much for all your hard work designing our beautiful bespoke wedding invitations and stationery. All our family and friends were so impressed by every little detail and we were so amazed at how well you tied it all together from the save the dates to the gorgeous invitations, menus & table plan. You helped us create something truly unique and were a pleasure to work with. Thank you for the fabulous stationery for our wedding. We are absolutely delighted with it.